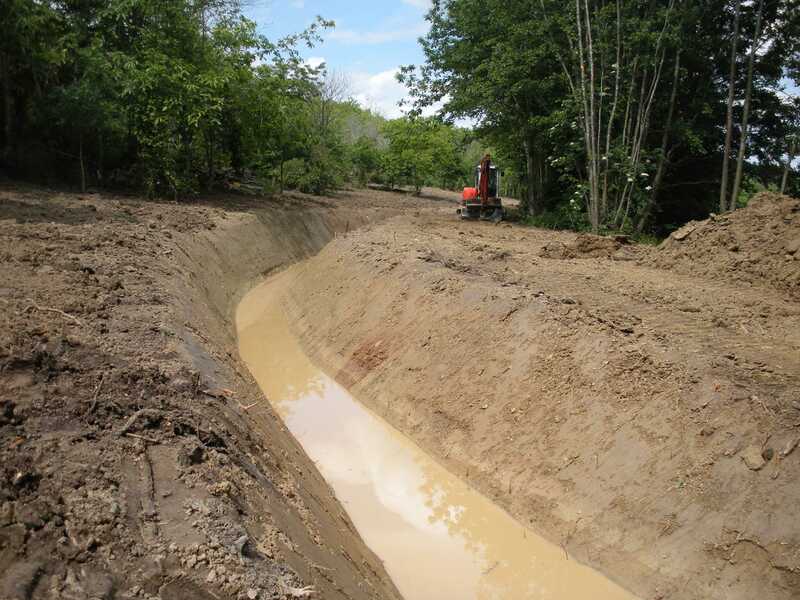 Approximately 300m of the leat (feeder ditch) for Clenchers Mill had previouisly been destroyed when a large duck lake was formed. 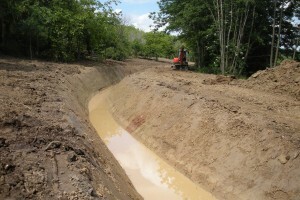 As part of the long term restoration of the mill, the leat was to be re-formed for this section. 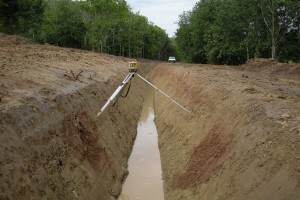 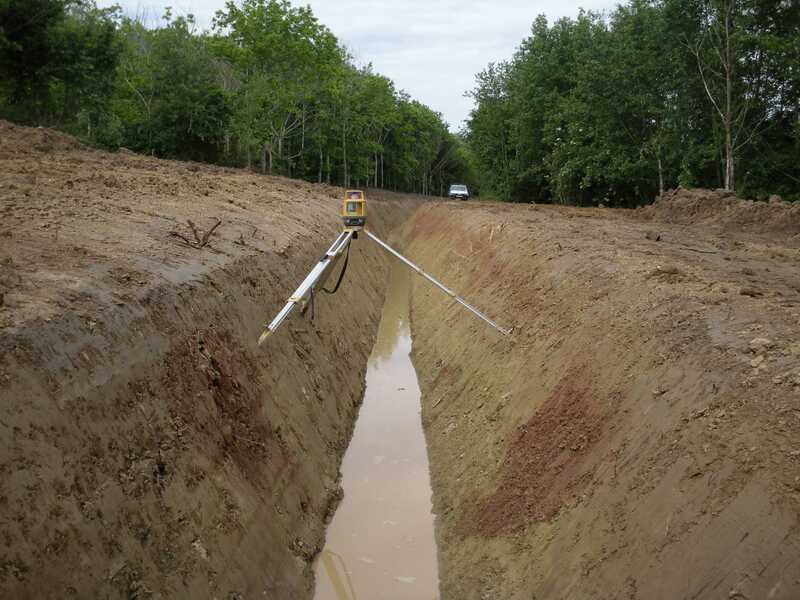 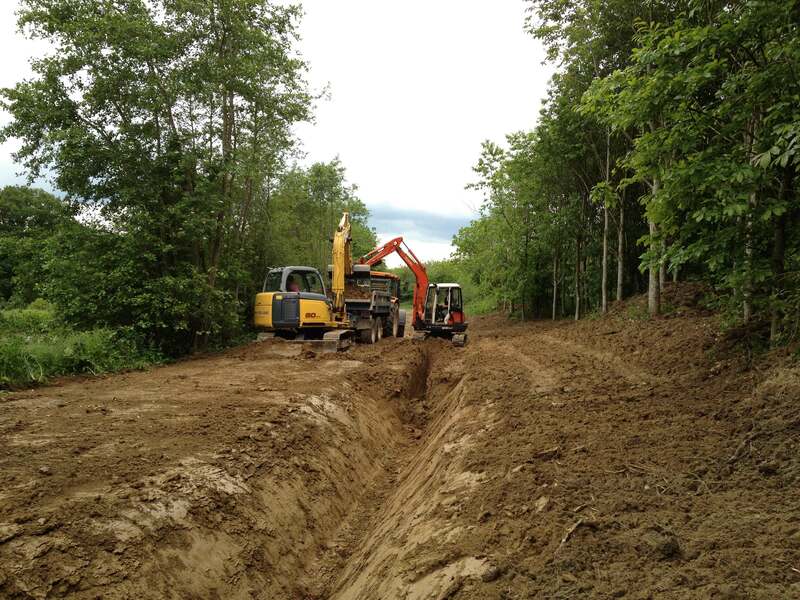 Using a Laser level and machine control device set from level references gained from a site terrain survey, the new bypass section of Leat was excavated. 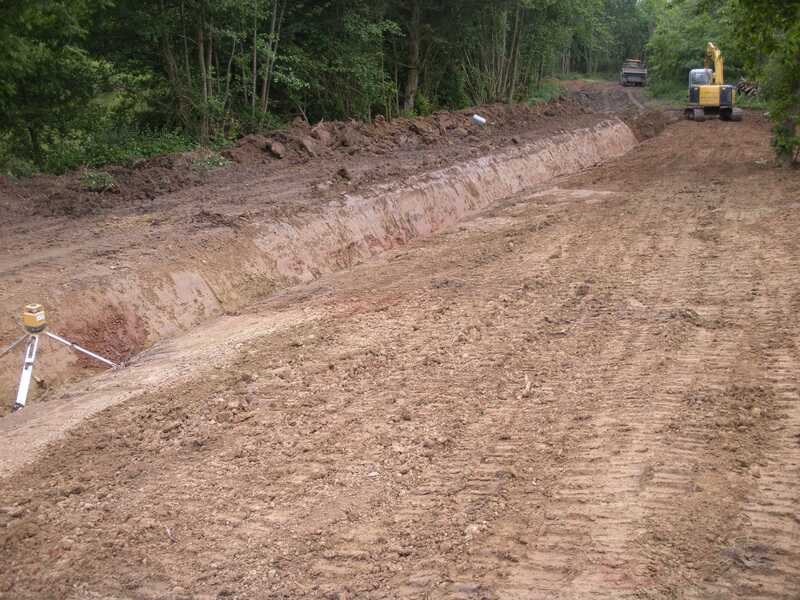 Spoil from the excavations was used to re-landscape the areas surrounding the new Leat. 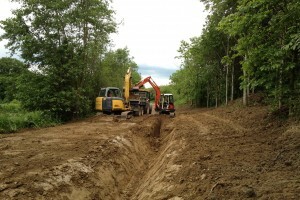 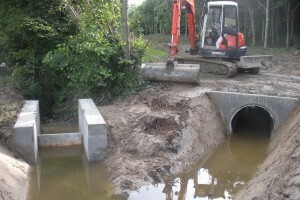 At the start of the new section a vehicular crossing point was installed using a large diameter twin-wall pipe. 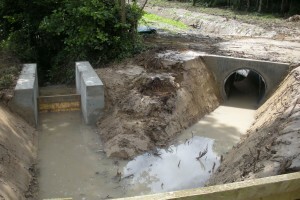 Headwalls were specially formed on site using concrete. 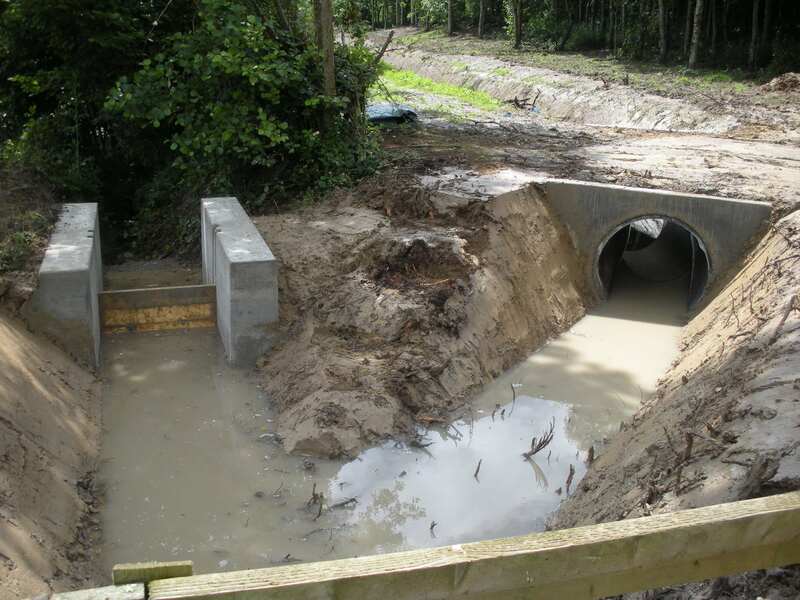 A flow control point was also installed to allow water to be diverted down the new Leat bypass or into the lake. 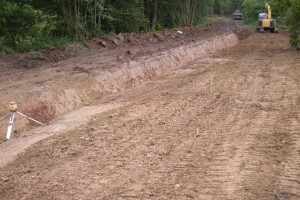 This was also formed on site from concrete. 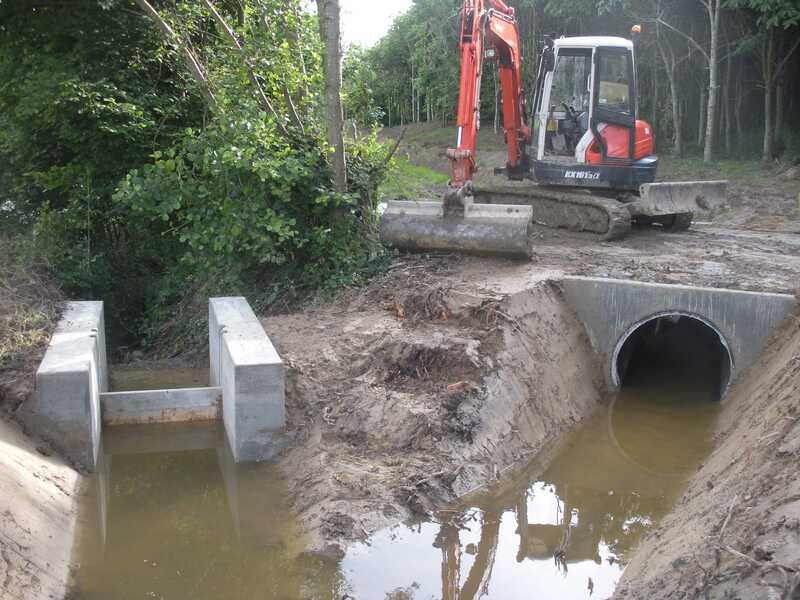 As access to these locations was restricted and weather conditions adverse, our excavator mounted concrete mixer was used to limit site movement and potential damage to the site.